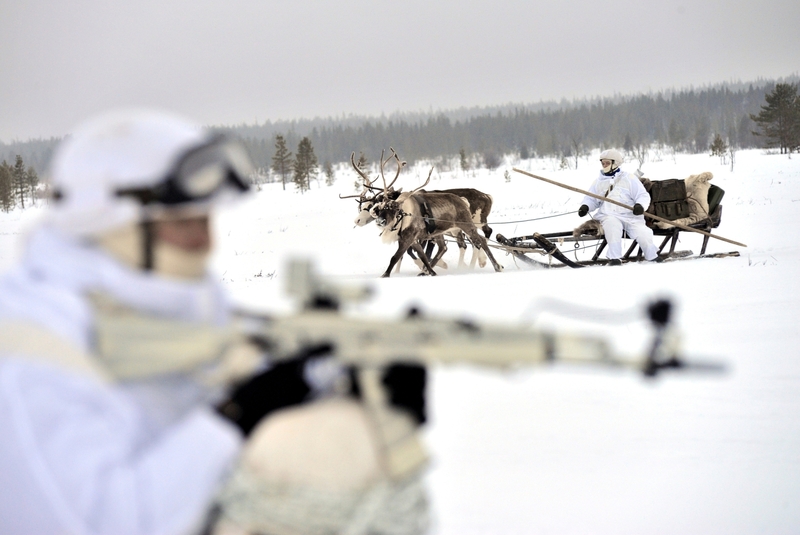 Russian servicemen of the Northern Fleet's Arctic mechanised infantry brigade participate in a military drill on riding reindeer and dog sleds near the settlement of Lovozero outside Murmansk. Events in the world in 2018 continued the current trend, indicating the next arms race and the primacy of the law of force. For a relatively short period of time after the end of the Cold War, the West believed that Russia would abandon the principles of the policy of its past era. In the 2000s, the actions of the Russian leaders gradually began to signal the opposite, but few people listened to such signals, or they simply chose not to listen. One of the regions in which Moscow began to regain its former influence was the Arctic. In 2001, Russia submitted an application to the United Nations Commission on the Limits of the Continental Shelf, asking to extend its Arctic shelf beyond the 200-mile zone. At the same time, geological and physical studies were undertaken in the Arctic water area, with the aim of providing a scientific basis for the request. The Arctic-2007 polar expedition caused the greatest resonance, because one of its outcomes was the planting of the Russian flag at the North Pole on the bottom of the Arctic Ocean using the deep-sea habitable vehicle. Gradually, a critical mass of often-interconnected events in the Arctic region was accumulated, which made it possible to say that international tension was growing. We then began to understand that Russia had transformed, but that it had not completely abandoned the approaches of the Cold War era. One of the consequences was the resumption of cooperation in NATO, especially near the Northern and Eastern borders of the Alliance. This has been one of the main topics of discussion for member countries in recent years. On the Eastern flank, Russia has illegally annexed Crimea and is supporting militants in the east of Ukraine in order to prevent the loss of control over its near neighbour. And after the construction of the Kerch Bridge, it is impossible to talk about stability in the areas of the Black and Azov seas. To date, the situation in the Arctic has not been so hot, but the militarisation of the region is already happening. And the situation can heat up at any time. Russia occupies a leading position in the number of military facilities in this region, since the country’s Arctic coast stretches from the border with Norway to the Bering Strait. On 9 May 2018, at the military parade in Moscow, the Arctic military equipment was presented for the second time. At the first parade, the Berkut-2 Arctic snowmobile was demonstrated, while the Arctic Tor-M2DT anti-aircraft missile system, the Pantsir SA anti-aircraft missile cannon complex and the BTR-82A armoured personnel carrier with a 30-mm cannon in Arctic camouflage were shown at the second parade. Specially prepared for work in low-temperature conditions, such military equipment directly indicates that Russia is ready to defend its interests in the Arctic, especially if we consider that Russian leaders have repeatedly stated that this region is of strategic importance for Russia. Opinions are split, however. Moscow argues that the Russian military presence in the Arctic region is necessary to ensure the defence of its borders and Russian interests, but Western countries fear provocations in the border areas. Nevertheless, the deterioration of relations between the Russian Federation and Western countries is already being projected onto the Arctic, though only at certain levels. Although there is dialogue on issues such as climate study, issues concerning the local populations, etc., Western sanctions have banned companies from cooperating on energy projects in the Arctic. A separate indicator is the increase in the number of military exercises in the region. From 25 October to 7 November 2018, NATO held large-scale military exercises in polar conditions, which were code-named Trident Juncture. These military exercises have caused a public outcry for several reasons. First, the USS Harry S. Truman, a US Navy aircraft carrier, entered the Arctic Circle for the first time in 27 years. Second, the public became aware of the UK’s plans to increase its military presence in Norway, as part of a joint mission with the militaries of the United States and the Netherlands. London was forced to admit so due to the activities launched by the Russian Federation in the Arctic to create new military bases and rebuild former ones dating to the Soviet era. During the exercises, the militaries of the NATO countries repeatedly observed an increase in Russian activity and provocations through the use of ships and fighters. Third, the North Atlantic Alliance realised the need to establish cooperation between the armies of the allied countries. The Trident Juncture exercise was of great importance, primarily for Norway, in that it provided confirmation that the Alliance is ready to apply Article 5 of the North Atlantic Treaty, which states that collective defence measures will take place in the event of a crisis. After all, the military capabilities of Norway, in general, would not be sufficient were there to be an escalation of the situation on its border with the Russian Federation or in the Arctic. One of the likely points of tension may be the opening of the Northwest and Northeast passages for year-round operation due to the melting of the Arctic ice. The Northwest Passage is the most common name for the shipping route to the Pacific Ocean along the northern coast of North America, through the Arctic Ocean and the Canadian Arctic Archipelago used in European and the North Atlantic countries. The Northeast Passage in the other direction is a more well-known name in the Arctic countries, with the exception of Russia. The route leads to the Pacific Ocean from the Arctic Ocean, the coast of Norway and the Russian Federation. In the Russian tradition, the name Northern Sea Route (Sevmorput) is more common and spelled out in legislation as part of the Northeast Passage without the Barents Sea, and without access to the Atlantic Ocean. In the spring of 2018, it became known that from the following year the Russian government would prepare to ban foreign ships from transporting energy resources extracted in the Russian part of the Arctic region. Soon, it was decided to give one infrastructure operator, namely the state corporation Rosatom, authority in the field of shipping, infrastructure development and safety of navigation on the Northern Sea Route and adjacent territories. Rosatom is becoming the main manager of funds that will be allocated to the region, as well as the purchaser of new state programmes. One of Rosatom’s orders was the project for the floating nuclear power plant Akademik Lomonosov, which, according to the stated specifications, is able to provide a city of 100,000 people with light, heat and fresh water. Also, the platform was created for maintaining the power supply of drilling platforms. The project began in 2006. On 19 May 2018, the floating nuclear power plant arrived from St. Petersburg to Murmansk, from where it will be towed along the Northern coast of Russia to Chukotka. In 2019, Akademik Lomonosov is due to be anchored near the town of Pevek in Chukotka, and from there it will be taken under the protection of the National Guard of the Russian Federation. The project has already been criticised both in Russia and abroad. The public opposed the refuelling of Akademik Lomonosov with nuclear fuel in St. Petersburg. One of the main critics of the project has been the international environmental organisation Greenpeace, which associates the lack of transparency with the increased risk of accidents. Therefore, the project has already been nicknamed an “atomic Titanic” and a floating “time bomb”. Is it possible to say that the concerns of environmentalists are exaggerated, if according to official data, the National Guard of the Russian Federation has stopped more than two hundred attempts to commit illegal actions on energy facilities located in the Arctic zone (including a branch of the Federal State Unitary Enterprise Rosatomflot, and the Bilibino and Kola nuclear power plants (NPP)? By the way, Akademik Lomonosov should replace the reactors of the Bilibino NPP and of the Chaun Coal Handling Power Plants (CHPP) in Pevek, Chukotka. Practical preparation for the permanent presence of the Russian Federation in the Arctic is also indicated by the fact that, unlike NATO, Moscow defined its strategy in the Arctic in 2008, and in 2015, the revised marine doctrine announced its primary focus on the Arctic, the Atlantic and the Black Sea regions. Of course, the main focus will be in the regions bordering the Russian Federation, where the Kremlin defines the limits of permissible escalation with the West. Together with the deployment of armed forces and equipment, the number of exercises and military patrols involving aviation and the submarine fleet has increased. In 2014, it became aware of the creation of the Arctic command Sever (North) to coordinate all Russian military activity in the Arctic. In the Black Sea, the build-up of Russia’s military capabilities has continued since 2014. The annexed Crimean Peninsula, which is gradually turning into a military base, is being used for this purpose. A peculiarity of this region is the fact that some NATO countries, primarily Turkey and Bulgaria, are playing a double game in cooperation with Russia. The forecast of the British analytical centre Chatham House notes that since NATO does not have a clear strategy both in the Arctic and the Black Sea basin, there remains an increased risk of conflicts involving the Alliance in these regions. And for the time being, Moscow has taken no noticeable actions to reduce Russian military presence on the Crimean Peninsula. In general, security issues in the northern latitudes began to be more actively discussed after the events of 2014. The 2016 Warsaw Summit was called one of the most important Arctic-related events after the end of the Cold War. At this, the growing security challenges in the North Atlantic, especially in the context of NATO-Russia relations, were recognised. The Alliance condemned Russia’s aggressive policy, including provocations on the periphery of NATO. Prior to the NATO Summit in Brussels on 11-12 July 2018, questions of the interests of the Alliance both in the Arctic and the Black Sea were still open. However, the discussion of increasing Russia’s capabilities in the Arctic was one of the main goals of the Summit. The report of the NATO Parliamentary Assembly on 7 October 2017 notes that, unlike actions in the Crimea and Eastern Ukraine, in the Arctic, Russia mainly adhered to international treaties and procedures of the Commission on the Limits of the Continental Shelf. However, in a rapidly changing region, the threat of territorial disputes between the Russian Federation and other Arctic countries still remains actual. 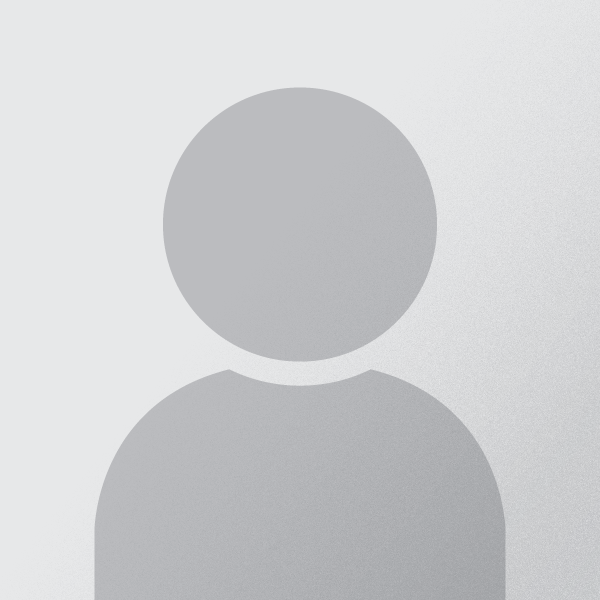 Moreover, an international treaty that would give the opportunity to flexibly solve problems and disputes in the Arctic has not yet been adopted. Thus, after the illegal annexation of Crimea, other countries began to evaluate the actions of Russia in the Arctic through a new matrix. After the incident with the Ukrainian ships trying to pass through the Kerch Strait, the possibility of the Russian Federation to regulate or close some parts of the northern shipping routes will most likely be rethought. This should be taken into account at further planning and in adopting NATO policies in the Arctic and Black Sea regions.